Many of us dread our morning alarm. Even though we know we could accomplish so much more if we could only drag ourselves out of bed, prying loose those covers is a daunting task — especially for those of us whose natural chronotype, or body clock, means we’re not morning people. 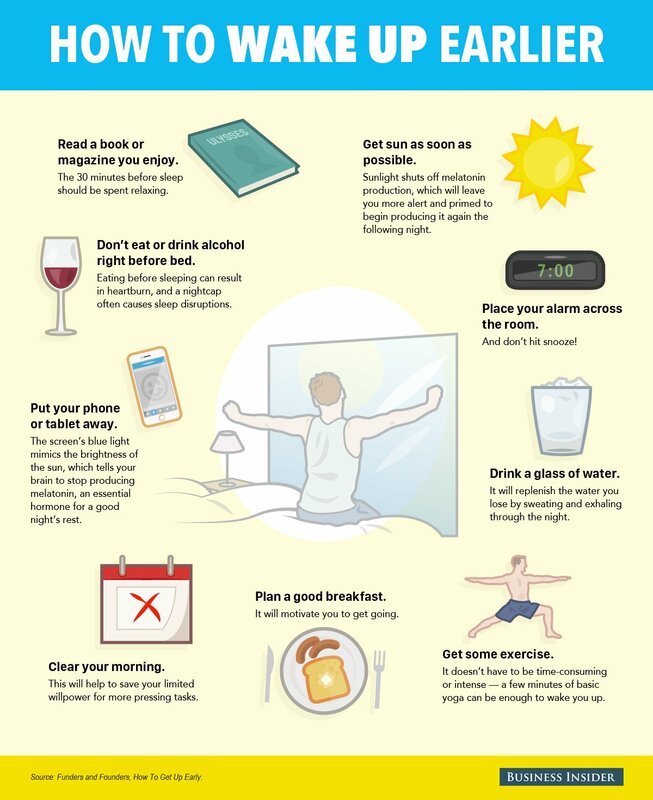 Fortunately, there are some science-backed tips that can help even the most dedicated night owl wake up earlier, feeling more alert and ready to accomplish what they need to for the day. The key is transforming our evening and morning routines to prime our body to sleep well at night and wake up refreshed the next day.